Absolutely stunning! Custom made dress inspired by John Galliano for Christian Dior, Spring 2009 Haute Couture collection. 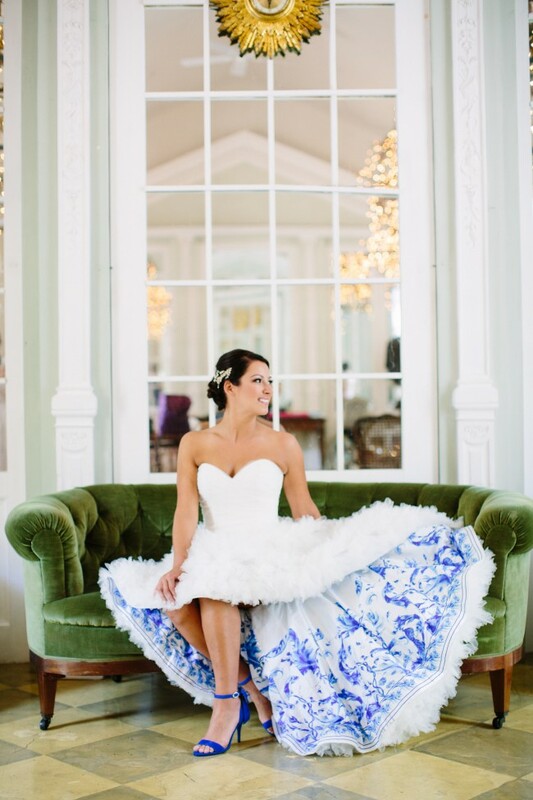 Created from a Watters Palm Springs gown with full, floral ruffled skirt, high low hem to puddle train, and one-of-a-kind blue patterned lining. This dress is a dream to dance in and elicits countless praise from family and friends. The sweetheart neckline is universally flattering and the mid-low back means you can still wear support for the girls ;) or don't! the fitted bodice creates a beautiful shape to make you look and feel fabulous on your big day. Professionally cleaned by renowned high-end dress service and repair company- Elegance Preserved.